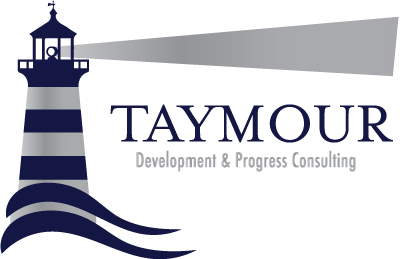 Taymour « Taymour Consulting Ltd. Language That Changes Minds. One of the most heartfelt testimonials I recently received from a client was: “Thank you so much, you really are the Jerry McGuire of Life Coaches.” It actually made my day, because although it was a relatively short testimonial compared to what I usually receive; it was potent with meaning and gratitude. It said so much, yet with a handful of words. Which brings me to the main theme of this month’s newsletter: Language That Changes Minds. How Toxic Are You? Have you noticed how sometimes during the week you’re lethargic without a reason? You may feel awake, but seem to be in a bubble of disassociation. You’re tired after 8 hours of sleep, abnormally clumsy and may even mumble or slur your words without having had a drop of alcohol. Well, if you’ve experienced any of these symptoms, you are one of millions of people who are exposed to over 1500 energy toxins on a daily basis. Energy toxins work on a subtle level whereby they reverse the electromagnetic polarity we all have as a living beings. In fact, this polarity can be easily measured using a voltmeter. What happens once we are exposed to these toxins is a shift in our polarity thus resulting in illness (in extreme cases) and most commonly, anxiety attacks, depression and mood swings. In some cases a build up of these toxins can lead to hallucinations. A recent study found that 92% of cancer patients have a reversed polarity. I’m sure that most of the readers of this article have a vague idea of what coaching is. But for those who aren’t sure – a coach is a trained and skilled professional who works with clients by offering a completely fresh approach to therapy, or counselling. A coach helps the client by working closely with them to identify their inner goals which is followed by a well thought out and realistic plan to achieve them. We as humans are ruled by our feelings and emotions that can either make us, or break us. As such we are constantly influenced by external forces that hold us back, diminish our self-worth and throw us off the real track we want to be on. These influences vary so much, that listing them would fill up most of this page, but here are some examples: colleagues at work, your boss, teachers, the adverts on TV, your so called friends who put us down , your partner as well as your family. The worst and most effective factor is yourself. People tend to believe the worst things that are said about themselves, and that’s exactly what goes wrong. Luckily a coach is out of this monotonous and negative circle. As such they are able to see you and your life objectively and without judgment. There are many areas that coaching can help in – relationships, parenting, career, health, stress management, weight loss, time management as well as productivity improvement at work. As a person who lived a large portion of his academic life in Los Angeles, I find writing this article quite nostalgic as this month’s theme is celebrities. In reality, celebrities are normal people just like you and I. They have fears, doubts, insecurities, competition, jealousy, depression, talent, skills, goals and achievements. The primary difference is that everything they do is magnified and blown up for the world to see thanks to modern technology and the media. In a world of diminishing substance, celebrities are the new culture (or should I say Pop-Culture) who dictate what’s cool , what’s hot and what’s not and before we know it, we want their hair styles, clothes, diets, noses, attitudes right down to their anti depressants. Even consumerism is now somewhat dependent on celebrity endorsement to gain new market share. Summer time feels almost as though the forces of nature press the slow motion button on the DVD player of life. It is about taking things slow and enjoying the lazy hazy and crazy pace of Summer; a time to reflect, re-charge and refresh. Geographically speaking, Summer is when the sun is at its highest point in the sky. Since the beginning of time, the sun has been a source of light, life, warmth and joy – it’s what automatically helps our moods improve and focus on the bright side of life; literally. Summer typically is about hot days by the beach drinking a long ice cold drink, barbecues, friends and family, laughs and a time of euphoric peace as we watch the world go by. It’s a time to sit back and allow our minds and bodies to shift down a gear or two to let go and regain the strength it needs to gain focus and clarity on our direction in life. Furthermore, it is the ideal time to gather as many happy mental pictures, sounds and feeling we can bring back with us to re-access when we need them. It’s a time for truly feeling alive, which reminds me of something Howard Thurman once said: “Don’t ask what the world needs – ask what makes you come alive and go and do that. Because what the world needs is people who have come alive”. It never ceases to amaze me when I’ve heard self-proclaimed atheists cry: “Oh My God !” in moments of terrible fear and great pleasure. No matter how we advertise ourselves or live our lives, we always have an innate spiritual side that requires honest nurturing. I recently read a book for the second time after five years and learned more from it the second time around. Then it occurred to me – the book had not changed, but I did. As the old saying goes: “The only constant in life is change”. We just have to make sure we change and grow in a healthy direction. One paramount area that strengthens that growth is our spiritual self. We previously looked at how our beliefs are shaped and how powerful our limiting beliefs can be in preventing us from achieving our desired goals. Let us take a closer look at how we pile on these limiting beliefs and how we can get rid of them. As the old saying goes: “The pen is mightier than the sword” couldn’t be more accurate; words can ignite or extinguish our feelings of guilt, shame, weakness, joy, excitement, love or motivation. Words are a collection of letters that simply formulate a name or meaning. However, the power that words have on our conscious as well as unconscious mind can be quite underestimated. Words such as: Sicily, Mondays or Divorce may have totally different meanings to different people. To some, Sicily may mean a beautiful island with rich history and fantastic food, whereas to someone else – organized crime. Likewise, Mondays may mean the start of the working week and lots of work to some people, but to most hairdressers, it’s their day off. Divorce, may ignite feelings of liberation for some, and to others – heartache. It is our experiences that make us think a certain way. Our experiences include our upbringing, education, social life and even the friends we socialize with. It is our experiences that mould our beliefs into what we are. Our beliefs are the windows we see the world through. Naturally as time goes by, this window gets smudged and may very well influence our outlook on the world we live in. This does not mean that we are not capable of seeing clearly, it simply means that we have the power and capability to cleans our beliefs from time to time. Imagine you have an orange tree. This tree provides you with a very nutritious fruit that has lots of vitamin C, it is high in dietary fibre, it can be eaten, juiced and drunk, it’s peel can be used to infuse sauces and turned into a delicious bitter sweet jam (also known as Marmalade). It can also be candied and dipped in chocolate and even its oil is used in aromatherapy to energize and rejuvenate. In fact, the orange is one of the most underappreciated fruits on this planet. Its uses are many, and its nutritional value is great, yet we take for granted how precious this unique fruit really is. Every single penny spent today is on feeling good, yet there is something missing. I have met extremely successful and financially stable people who are quite stressed and unfulfilled with their lives; as well as some “Normal” working people who are blissfully positive and happy. So what is the secret formula to happiness? Is it financial security? A fancy title? Or is it a combination of different well balanced things ? There has been much research done in the last 50 years on the elements of success and the elixirs of happiness. Some say it’s optimism, others emphasise on the importance of goals and inner motivation. However according to the Mind Gym the formula for happiness is a balanced combination of three very important areas : Pleasure, Purpose and Challenge. Let’s explore each one a little closer.